Companies and brands with a specific target audience can utilize hashtags to draw their consumers into a deeper conversation and encourage them further to engage more such as shares, likes, sales and lead generation. 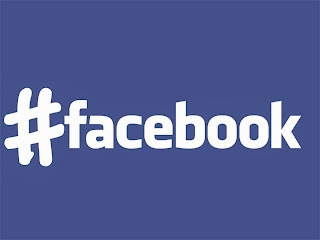 Start capturing the power of Facebook Hashtags in your marketing efforts to grow your brand. 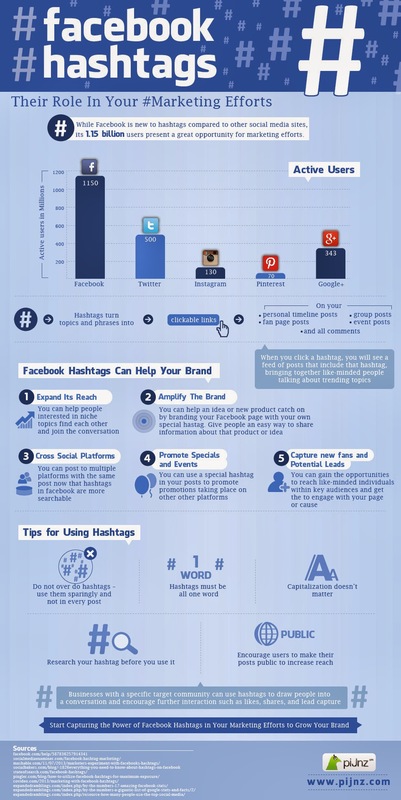 Take a look at the infographic by PiJnz team that evaluate Facebook hashtag, Why it is important? And it's role in your social media marketing efforts. Expand its reach - You can help people interested in niche topics find each other and join the conversation. Amplify the brand - You can help an idea or new product catch on by branding your Facebook page with your own special hastag. Give people an easy way to share information about that product or idea. Cross social platforms - You can post to multiple platforms with the same post now that hastags in Facebook are more searchable. Promote specials and events - You can use a special hastag in your posts to promote promotion taking place on other platforms. Capture new fans and Potential leads - You can gain the opportunities to reach like-minded individuals within key audiences and get them to engage with your page or cause. Don't over do hastags - use them sparingly and not in every post. Hashtags must be all one word (no spaces). Before you use a hashtag do a research and ensure that it will work. Encourage users to make their posts public to increase reach. Thank you for reading it and let me know in the comments your experience with Facebook hashtags? Great article! Thank you very much. I hadn't even realized that FB was using hash tags now. Where the heck was I? Spazz mode! lol. Going to start using it with my exploding CruiseMLM(dot)com brand. Thank you again. Great info...thanks for sharing. Didn't even realize that hashtags worked on FB. Thanks.